If you're super excited for Lifetime's The Unauthorized Full House Story to premiere on Saturday, you've probably been re-watching some Full House episodes for old time's sake and brushing up on your knowledge and be the smartest one in the room, ready to fact-check as you watch. OK, maybe that's just me... I really enjoy being as prepared as possible when such an important made-for-TV film is about to own my Saturday night. If the trailer is any indication, it looks like (spoiler alert!) there was a lot of drama behind the scenes. Already, one of my burning questions is, did the Olsen twins really demand a massive raise during Full House ? 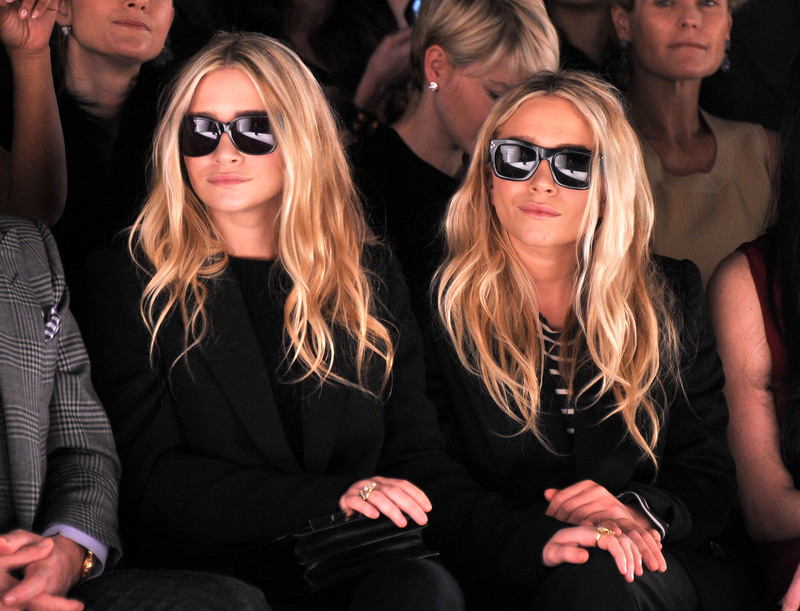 According to the trailer, at some point during the show's run, it was requested that each of their salaries be doubled.Considering that Mary-Kate and Ashley (also known as my childhood idols) were only 9 months old when they were cast as Michelle Tanner and eight years old when the show ended, the demand for a hefty raise would obviously have come from their agent and family — not the girls themselves. But since the Lifetime movie has "unauthorized" right there in the title, I had to wonder if this particular point is true. According to a detailed outline of Mary-Kate and Ashley's careers provided by People, if anything, that storyline may actually be an understatement. People reported that the twins' parents hired entertainment attorney Robert Thorne in 1989. At that time, they were each making $4,000 per episode. He re-negotiated this sum up to $25,000 and then to $80,000 by the time the show ended. The exact timing of each raise is unclear, but their careers took off in a major way in 1992. That's the year the twins recorded their first album, Brother for Sale, and made their first TV movie, To Grandmother's House We Go. By 1993, they had kicked off their straight-to-video franchise. As the Olsens established themselves as stars beyond Full House, it seems likely that salary negotiations would have become more necessary. More recently, however, rumors about the Olsens not getting along with other cast members have floated around, with Radar claiming that the twins aren't interested in returning for the Fuller House reboot and other cast members don't want them back. Those were proven false when Netflix chief content officer Ted Sarandos said that the Olsens are actually considering returning for Fuller House, as reported by The Wrap, while John Stamos tweeted that he was heartbroken when they were believed to not be joining, and followed it up with "I understand they're in a different place and I wish them the best." At this time, the Olsens' representation has not responded to Bustle's request for comment. If Mary-Kate and Ashley do choose not to appear on the spinoff, fans shouldn't take that as proof that those early rumors are true — as adults, they have chosen not to focus on acting and instead are hard at work in the fashion industry. It makes perfect sense that they're not enthused about appearing in the reboot. Their childhood career path was chosen for them, and it's totally fair that they are now choosing to pursue different passions. These modern day rumors may have been unfounded, but rest assured that the contract negotiations you'll see in The Unauthorized Full House Story were very real.